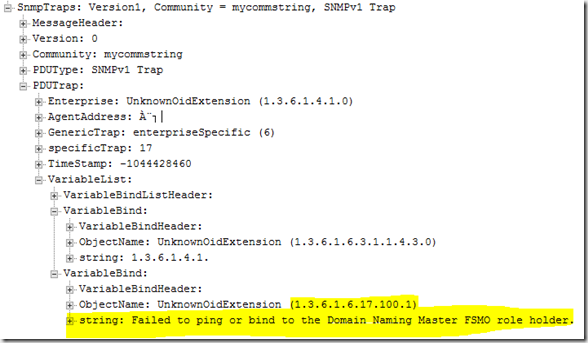 Grabbing traffic out of SCOM and shipping those alerts over to a ‘manager of managers’ type system for event correlation is a fairly common scenario. Ideally, an integration pack would exist for that other system and two way communication could be established. Unfortunately, that isn’t the case for all and sometimes a different mechanism needs to be used for shipping the traffic. Get Alert is going set to grab the appropriate alerts. 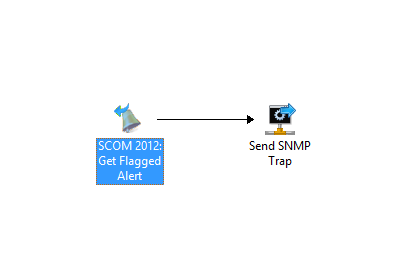 In this case, simply pointed at alerts where CF1 = ‘SendMe’. 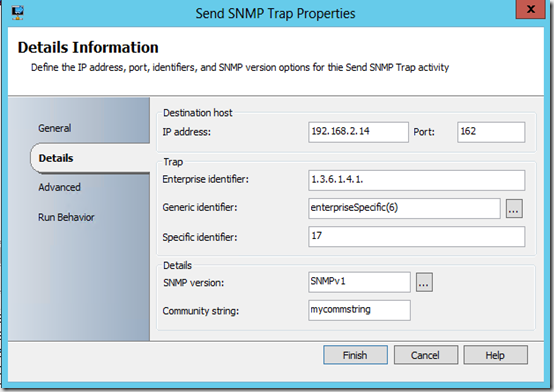 Now, let’s look at configuring the Send SNMP Trap activity. 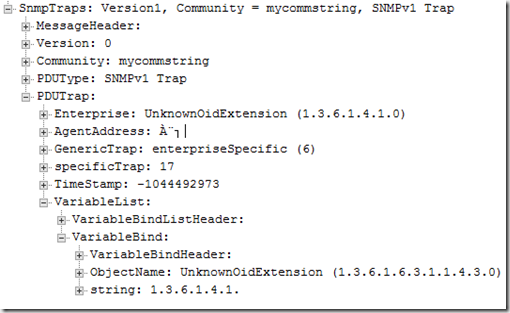 NOTE: There is currently a documented bug with the Generic Identifier field in this activity as of when this blog post was written (4/10/2013). KB Here. Seems ok. 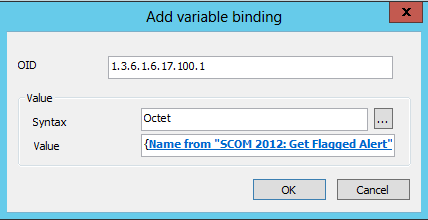 Note I typed in 6 for the Generic ID rather than using the […]. 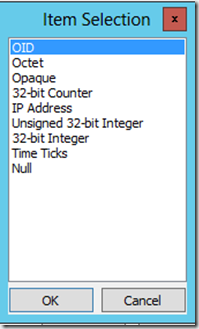 That’s due to the bug in the KB above. The Specific ID of 17 is just because I like the number 17. 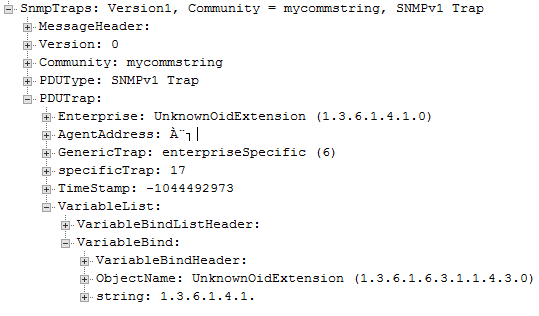 In this case, it is arbitrary and we will be using it to delineate between the different traps when the Generic ID of 6 (Enterprise Specific) is selected. OID is the default. 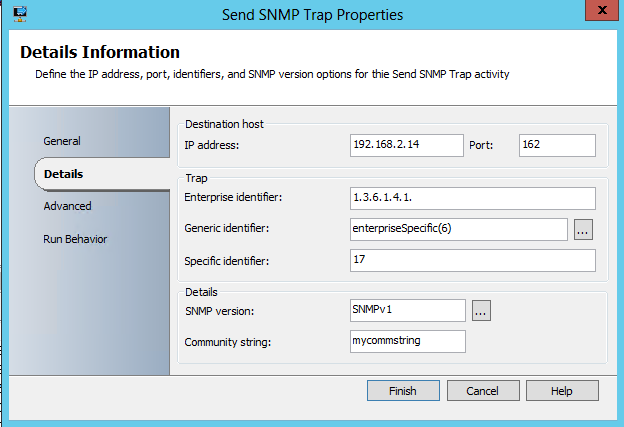 If you are an SNMP guru, you probably already know which of these that should be selected to ship a string. I, however, am not. 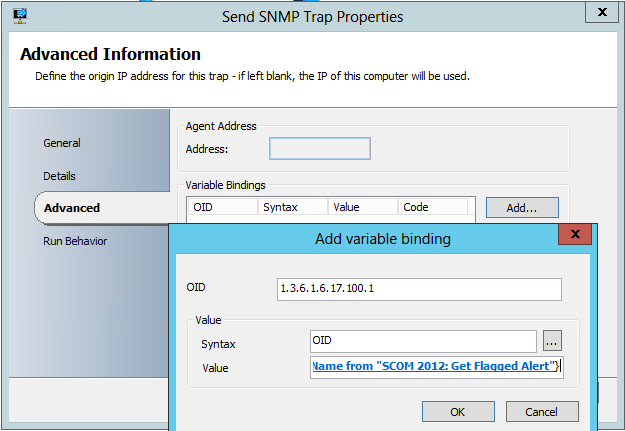 So, I am going to give OID a shot and see what we catch on the trap receiver side. 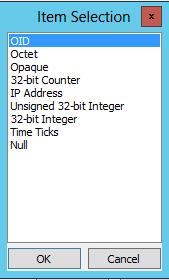 I turned on additional activity logging for the runbook in SCOrch and told it to run. Opaque – we can see the data. 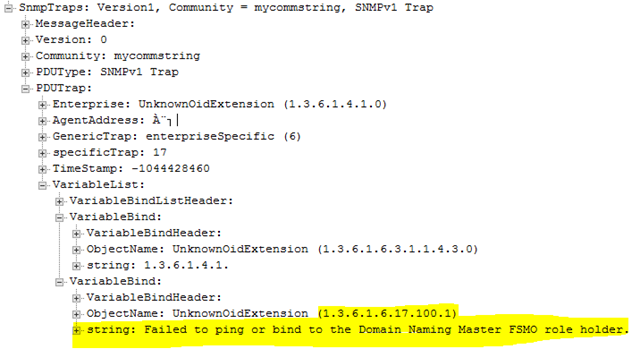 However, when catching these traps in a different utility I didn’t have as much luck seeing the data. 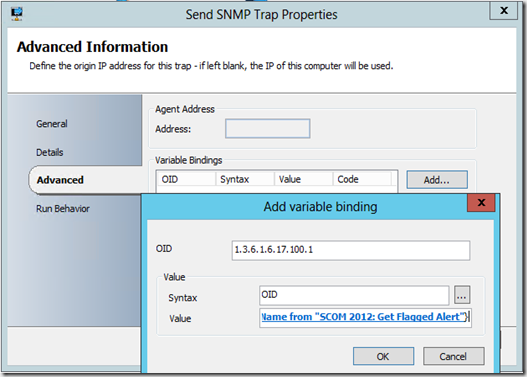 For shipping strings inside of SNMP traps, the Octet data type seems like a great place to start.